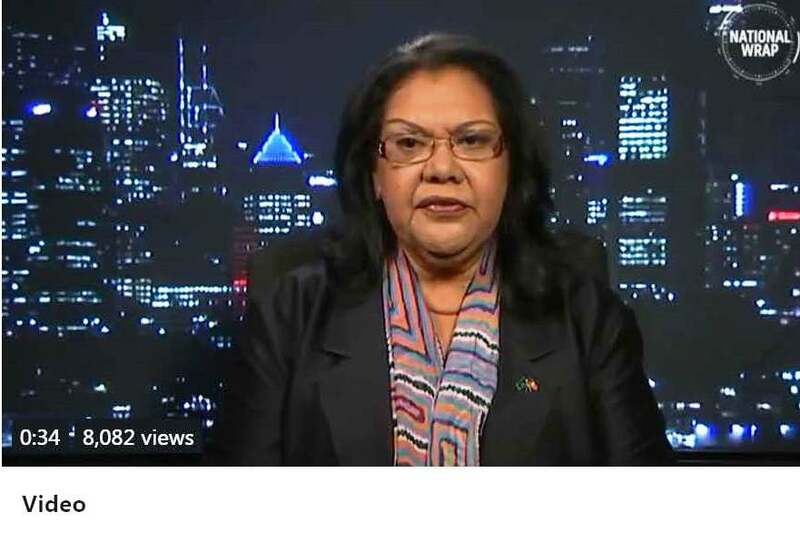 Aboriginal and Torres Strait Islander social justice commissioner June Oscar has declared that racism in Australia is “alive and it’s kicking” in response to comments by the nation’s newly appointed race discrimination commissioner that Australia is not a racist country. ” How do we balance the steps forward against the steps backwards to arrive at our answer that Australia is or isn’t a racist country? How we compare the arts against the justice system, or politics against social media? How much weight do we give to the stated intentions of white people to the stated interpretations of non-white people? But these are not homogenous groups either. There are plenty of white people who understand racism exists, and then we have some people of colour who will say that they do not believe Australia is a racist country. 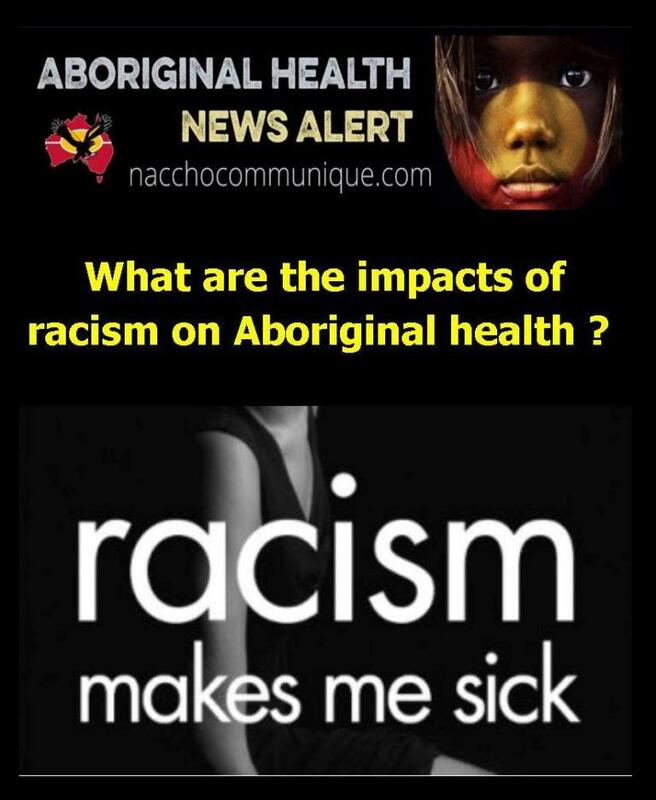 Read HERE : What are the impacts of racism on Aboriginal health ? The Morrison Government’s newly appointed race discrimination commissioner Chin Leong Tan has rejected claims that Australia is a racist country ahead of assuming his official role on Monday. The lawyer has also revealed he will not use his position to solicit complaints. 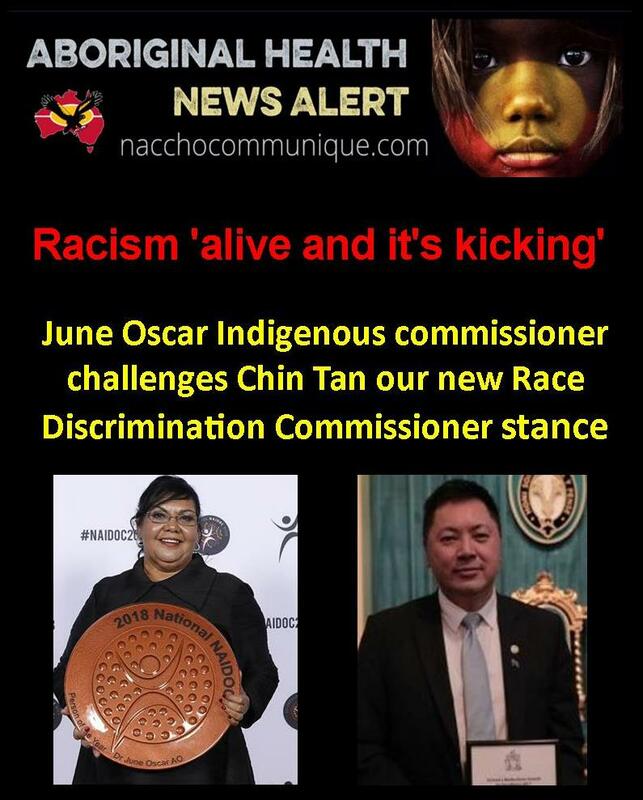 But in an interview with the ABC’s National Wrap program, Commissioner Oscar said that she will inform the new race discrimination commissioner of “encounters of institutional racism” that confront Indigenous peoples on a “daily basis”. “It’s critical that he as the new race discrimination commissioner is aware of the prevalence of racism across the country and it’s experiences from the everyday lived realities of women and girls and Indigenous peoples … and personal experiences of racism in the schoolyard and in public places,” she said. Commissioner Oscar said she would work with Commissioner Tan to ensure that people were aware of the processes available to them when they do encounter experiences of vilification and discrimination. Data obtained by the ABC has revealed the impacts of how Indigenous communities are being punished under a “racist” employment scheme. Unemployed job seekers can be docked up to $50 per day for missing work-for-the-dole activities. But statistics show that places with higher numbers of Indigenous participants were issued with more penalties. Commissioner Oscar questioned why the sector is treated in this manner, offering a grassroots solution. “I think we can help to address the employment and the active engagement of participants who are on this program by supporting local organisations and creating innovative work-for-the-dole programs informed by the people who live in these communities,” she said. Commissioner Oscar has been travelling the country with the Wiyi Yani U Thangani (Women’s Voices) project, which she hopes will “elevate” the voices of the nearly 2,000 women and girls she has encountered. She identified “racist attitudes” experienced in public spaces like supermarkets as one of the key emerging issues raised, revealing her own personal encounters of “being watched and followed”. The Commissioner will head to the Torres Strait next week, continuing conversations with Aboriginal and Torres Strait Islander women after her most recent sessions in far north Queensland, Tennant Creek and Alice Springs. The Women’s Voices project’s final report is expected to be handed down in mid-2019. 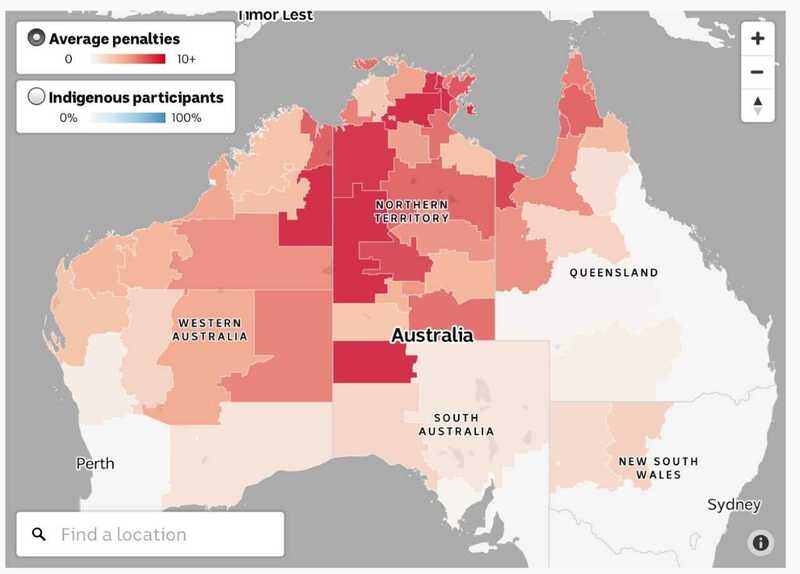 Interactive map: which regions are being issued with the most work-for-the-dole fines? Chin Leong Tan, Australia’s new race discrimination commissioner, sees his role very differently to predecessor Tim Soutphommasane. For one thing, he is not inclined to commentary or advocacy. Instead, he approaches issues with a clinical dispassion befitting his background as a commercial and property lawyer. One of his favourite words is “balance”. Take the most controversial debate in race politics last year: the bid to repeal or dilute section 18C of the Racial Discrimination Act, which makes it unlawful to offend, insult, humiliate or intimidate another person on the basis of race. “It’s not for me to comment on legislation that’s been there for 40-odd years,” says Mr Tan, who takes up his new position today 8 October. When pushed, he praises section 18C as “a reflection of Australian values and views that we have”. But it is not clear if he believes those values should endure regardless of the prevailing sentiments in Canberra. “I defend the existing section 18C for what it is … it’s there as a law and I comply with the law,” Mr Tan says. It’s a similar story when it comes to African gang violence in Victoria. The debate has elicited claims of race-baiting and dog-whistling ahead of a state election – particularly directed at Home Affairs Minister Peter Dutton, who claimed Melburnians were afraid to go out to restaurants at night. “He has a view and he expressed it. People had opposing views. That’s largely the debate that’s going on out there,” Mr Tan says. The clash with Dr Soutphommasane’s approach, particularly during his final months, could hardly be more stark. In his final speech, the former commissioner warned “race politics is back”, and singled out Malcolm Turnbull, Mr Dutton, Tony Abbott, Andrew Bolt and others for criticism. Dr Soutphommasane is a former Labor staffer and was appointed to the role by Labor in the dying days of the second Rudd government. Mr Tan unsuccessfully sought Liberal Party preselection in an on-again, off-again relationship with the party – he said he resigned his membership about a month ago after resuming it last year. Attorney-General Christian Porter praised Mr Tan as “a well-known and recognised leader in the multicultural community” who would “represent all Australians”. 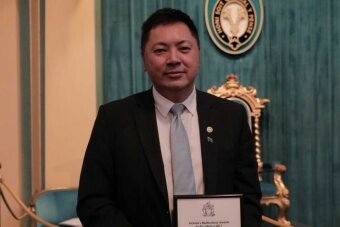 In a clear departure from his predecessor, Mr Tan said there were limits to the power of “calling out” racism – even for the race discrimination commissioner. “Calling out racism is very important, but I want to be very careful that we put things in context – because I do share a view that that can be overplayed sometimes,” he said. Mr Tan was born in Malaysia to Chinese parents, and migrated to Melbourne in the 1980s. After leaving commercial law in 2011, he headed the Victorian Multicultural Commission, and since 2015 he has been director of multicultural engagement at Swinburne University of Technology. His new $350,000-a-year job sits within the Australian Human Rights Commission, which has been the focus of political argy-bargy since the Coalition’s spectacular falling out with former president Gillian Triggs over asylum seekers. Some conservatives argued for the race discrimination role to be scrapped or renamed, but the government opted to do neither. It’s a contentious question, and one that has no easy answer. (Well, it does have an easy answer – yes, but it takes some unpacking to understand the question and the answer). First of all, what do we mean by ‘Australia’? Are we talking about personal perspectives and experiences? One person in Australia might not see racism in their workplaces or their social groups. Or they might not define what they see as racism where someone else might. They might have all sorts of inbuilt response mechanisms they use to justify to themselves and to others how they couldn’t possibly be racist – ‘It was just a joke!’ ‘You’re being too sensitive’. ‘I didn’t mean it that way – you’re taking it out of context!’. ‘They can’t be racist, they are a lovely person!’. ‘I can’t be racist – I have an Aboriginal friend!’. ‘I can’t be racist, I’ve never even met an Aboriginal person!’. The list is endless. If a person experiences racism everyday of their lives is it fair for them to think ‘Australia is a racist country’? Especially if their experiences are compounded by the lack of other people standing up for them, or even believing them when they try to raise it. Or is it not about individual or collective group experiences and is about ‘official Australia’, eg to what extent does racism exist in our public spaces and in our institutions? And importantly, how is racism responded to when it occurs. How does Australia respond to racist people, or people who do racist things? Do we hold them accountable? Do we condemn them, fire them from their jobs, or do we elect them, promote them, or give them their own tv show? There are examples of all of these that can be found. Which one you think happens more than others probably depends on who you listen to more. An average IndigenousX reader probably has a very different view on this than an average Andrew Bolt reader. But even that dichotomy isn’t clear cut. There are likely people who are reading this right now who do or say racist stuff, and there are probably Andrew bolt readers who don’t – not many, I admit, but I wouldn’t rule out the possibility. Australia, as a collective group of people, has competing forces and competing views. No one person best exemplifies an ‘average Aussie’, so answering the question ‘is Australia racist?’ is an almost impossible question to answer if we don’t qualify it and contextualise it. That’s why it is such a great quote to use in media spaces, or in politics. It’s click bait. It’s a dog whistle. It means nothing but is guaranteed to cause a controversy and polarise people. One person saying ‘Australia is not a racist country’ can mean something very different from someone else who says it. A person could be saying this to appeal to the common humanity and empathy that exists in most of us, or someone could be saying it to appeal to the fervour for racism denialism that is so strong in Australia. It can be said to dismiss lived experience, or to optimistically appeal to our greater humanity. It’s so loaded now though (and maybe it always was) that anyone who says it, regardless of intent, will rightly be met with much eye rolling and dismissive responses. It is now the national equivalent of ‘I’m not racist but’ except it doesn’t even get a ‘but’. And what about the ‘alarming rise in anti-white racism’ that Pauline Hanson and Mark Latham complain about? Well, that’s nonsense and we probably don’t need to spend much time on that one. It is definitely worth considering the rise in white nationalism that their racist nonsense represents though. The new trend on framing white people as the victims of racism to justify actual racism, and how seemingly innocuous slogans like ‘It’s ok to be white’ are actually deeply embedded within white supremacist movements. A better question might be to look at to what extent does it exist, and how is it responded to in Australia? Racism in Australia exists. It exists in our institutions and in our public spaces. There are those who oppose it, but there is also a lot of racism among our self-proclaimed ‘white allies’. But how do we judge whether racism is growing or shrinking in Australia? We have more black people commenting in the mainstream media on issues that affect black people, but we also have more people dying in custody. How do you balance that on the scales? We have governments spending more than ever on Indigenous businesses, but conversations about self-determination or reparations have entirely disappeared from federal politics. How do we balance the steps forward against the steps backwards to arrive at our answer that Australia is or isn’t a racist country? How we compare the arts against the justice system, or politics against social media? How much weight do we give to the stated intentions of white people to the stated interpretations of non-white people? But these are not homogenous groups either. There are plenty of white people who understand racism exists, and then we have some people of colour who will say that they do not believe Australia is a racist country. Racism is insidious. It impacts on people’s health, their education, housing and employment opportunities, and their sense of self and safety living in Australia. Racism exists within our institutions and because so many white people deny it, and so many people of colour are uncomfortable discussing it for fear of the inevitable backlash it brings, and thanks to the myth of the meritocracy, this in turn perpetuates racism within our society. We look at Aboriginal prison rates and label Aboriginal people as criminals rather than looking at racism in policing or in sentencing. We see Aboriginal suspension rates, or low attendance rates, in school and blame Aboriginal children and parents instead of looking at our curriculum, pedagogy, and how and when school policies are enforced. We ignore Indigenous expertise and lived experiences and instead look at Aboriginal people as a problem to be solved through ‘carrot and stick’ approaches, usually with a big stick and tiny carrot. Instead of supporting Indigenous led solutions, we get Tony Abbott as our special envoy. Speaking of Tony, we heard him when he was PM say that Australia was ‘nothing but bush’ before white people got here, or our current PM say that Australia was ‘born’ when white people got here, but we must remember that there are entire generations of white Australians who were taught the exact same thing when they were at schools. Some of those people are now teachers themselves. Or police, or judges, or doctors or nurses. Aboriginal people were taught the same thing in school too, at least in the past generation or two where we’ve actually been allowed to attend. What lessons did we learn in school? That we were not respected, not good enough, not smart enough, not welcome. The same lesson we learn when we here our PMs talk so disrespectfully about us. Racism is a vicious cycle. We know its impacts affect intergenerational trauma, but its perpetuation is intergeneration too. Racism is insidious. It impacts on people’s health, their education, housing and employment opportunities, and their sense of self and safety living in Australia. It isn’t just words and hurt feelings. Anti-racism isn’t just saying that you oppose racism, it’s understanding what racism is and being aware of different strategies for responding it. Anti-racism isn’t just a value, it’s a skill set. A skill set that I would expect a Race Discrimination Commissioner for the Human Rights Commission to have. So, when our newest appointment to this role says that he doesn’t think Australia is a racist country, it does not fill me with confidence that he has the skills, or the desire, to help make Australia an anti-racist country. Luke Pearson is a Gamilaroi man, and is the founder and CEO of IndigenousX.